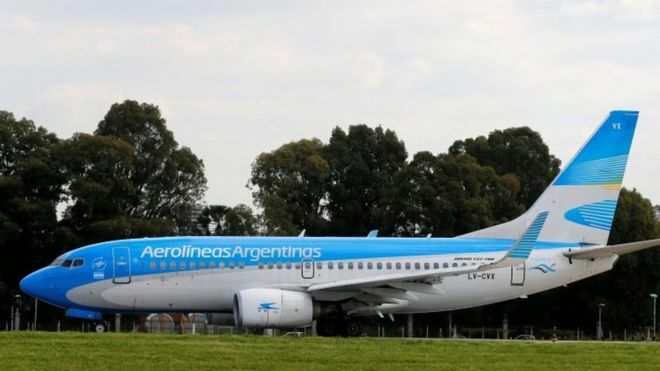 The Argentine airline Aerolineas Argentinas has become the latest in a long list of air carriers to suspend flights to the Venezuelan capital, Caracas. The airline cited concerns over security in Venezuela because of increasing criminal violence and political uncertainty, for the main reasons for suspending the service. It follows similar moves by many other airlines such as Air Canada, Aeromexico, Alitalia and Delta. The International Air Transport Association warned Venezuela is becoming increasingly isolated as the situation in the country becomes increasingly volatile. "The situation has become increasingly difficult, most of Iata's members have left Venezuela. There are only six or seven carriers left operating a very low flight frequency." Peter Cerdá, the vice-president of IATA, said last week, "Venezuela is becoming disconnected, it's practically disconnected from the rest of the world, above all by air, and we can't see any solution in the short term." Mr Cerdá said passenger traffic in Venezuela had dropped by 75% in the last four years. One of the key issues for airlines operating in and out of Venezuela has been the strict currency controls implemented by the government, which has been in charge of foreign currency exchanges since 2003. Airline companies have been attempting for years to change the local bolivar currency it receives when it sells tickets in Venezuela into dollars. Another important issue airlines have is the safety of crew's spending the night in the country, of which the government will not guarantee. Copa Airlines president Pedro Heilbron, said "We are becoming practically the only operator in the market but our intention is not to leave, not to abandon the market in Venezuela." in August after the company rescheduled flights so crews would no longer spend the night in Caracas or other Venezuelan cities. Including in the list of airlines that have stopped servicing Venezuela are Air Canada, Aeromexico, Alitalia, Lan, Tam, Gol, United, Delta, Avianca and Lufthansa.